The Jing Method – Trademark or Truth? My friend Jing came over this weekend. Jing, as you probably understand, is Chinese. He is in his mid-twenties, and slightly shorter than me. He also loves rice (duuh! ), kung-fu movies (double duuh!) and hard work (triple duuh!). You could call him a stereotypical Chinese, I guess. On his spare time (which isn’t that much of time, really) he helps his family with growing vegetables, in their big garden/farm. Alternatively he studies Chinese, which you can never study enough, obviously. Jing is probably the most polite person I know. In fact, he literally embodies the Japanese saying “Chikashii Naka Ni Mo Reigi” (“even between close friends there should be proper courtesy and respect”). But like I said, he’s not Japanese. Anyway, that’s not what I want to tell you. There something else too. If you would, heaven forbid, morph together Arnold Schwarzenegger and Jackie Chan, you get Jing. 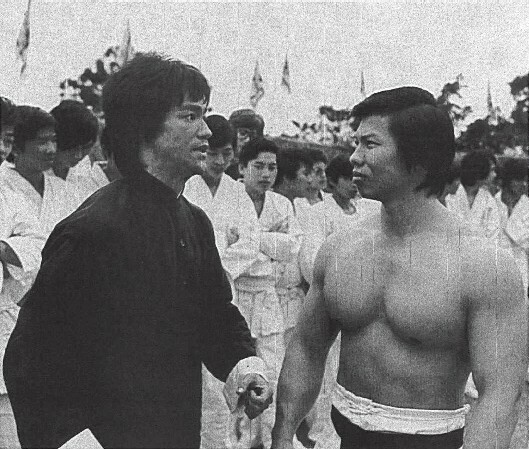 In fact, he looks almost identical to Bolo (the actor who plays the evil villain in just about every kung-fu flick), except Bolo is evil, and Jing is not. They probably go to the same gym. Given Jings busy schedule, one wonders how he’s had time to sculpt that impressive body in the gym, between work (he works as a plumber), gardening, studying Chinese, lecturing his crazy siblings and renovating his family’s house. So the other day I asked him. And the answer I got literally floored me. Jing has no idea how much weight he lifts. He doesn’t really care. He just picks which ever weight feels comfortable for the moment. Sometimes big weights, sometimes small weights. Jing doesn’t know or care about name of the exercises he uses or what the terms “sets” and “reps” mean. He just uses any machine that happens to be free, and does the number of reps and sets that feels comfortable. He never counts. And when he “feels done”, he quits. Jing didn’t even understand me when I asked him about recovery. “Recovery? What do you mean, recovery?” he says. That’s like two hours after he’s done training. It appears, Jing doesn’t know anything about conventional wisdom when it comes to strength training or recovery. He does everything “wrong”. He doesn’t use any fancy program or method. He doesn’t train regularely. Jing doesn’t even care about becoming strong (but he is!). He just does what feels good. I mean, look at the picture of Bolo to the right and don’t tell me that is not the result of hard, systematized, brutal training; coupled with effective recovery. I mean, ask any strength training expert how to train, and they will immediately give you a list of sets, reps, exercises, duration, warm-up, recovery, stretching, yadda yadda. But don’t make the mistake of asking Jing. Because he will just – very politely – tell you that he doesn’t know. And bear in mind, this is in an age where knowledge about anything is basically just a few clicks away (just ask sensei Google, right?). Jing is, in one word, remarkable. Teach Jing’s (lack of) method to a thousand random people, and two, or perhaps three, people will get the same result as him. It is not for everybody. You might even call him a black swan of strength training. Now, let’s forget about Jing for a moment, and turn our heads towards Oliver. Oliver is my little brother. 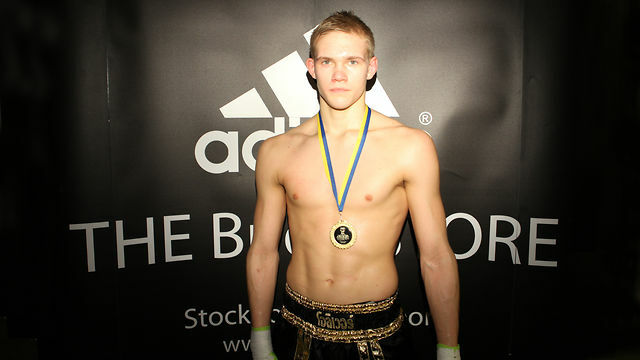 Anyway, I won’t go into details about him, I’ll just tell you about one of his recent Thai boxing pro fights. In fact, here’s a video. See for yourself. So, looking at this list of techniques (or the video), what “style” would you classify Olivers style as? Ask a Thai boxer, and he would say it’s sanshou, perhaps. Ask a sanshou player, and he would say kickboxing. Ask a kickboxer, and he would say it’s Thai boxing! It would not be an understatement to say that nobody in Bangla Stadium that night had ever seen a fighting style like Oliver’s. In thai boxing, what he did was “wrong”. If Oliver was to teach his unconventional fighting style to a thousand people, how many would have the same success with it in the ring? Oliver used kicks and tricks most normal 18 year olds have never heard of (and this is in full contact fighting)! I mean, Thai boxers are supposed to be standing still, weight on their rear leg, curved back, hands held high, trading single roundhouse kicks until someone drops. That’s conventional wisdom. That’s safe. And in the first round it’s a big taboo to even hurt the opponent. And here is where Jing and Oliver meet. They are both looked upon as “talented” or “gifted” in their chosen fields. Their expertise in strength training (in Jing’s case) or martial arts (in Oliver’s case) is what drives them and makes other people look up to them. In these fields they use unconventional methods and styles for achieving their goals, and they do it quite successfully. So far. They do what they feel like, not what the textbook says. And if you or me were to copy them, we would soon have to give up. Because in 9 times out of 10, it wouldn’t work for us. Sure, we might have the same goals as Oliver and Jing (becoming strong like Bolo for instance) but in the end, our methods must be different, because we aren’t them. At best, their methods and styles could inspire us in finding our own way. Still, we continually see companies selling videos and books with titles like “Fight Like UFC Champion Lyoto Machida!”, “Play Golf Like Tiger Woods!”, “Shoot Hoops Like Michael Jordan!”, “Shotokan Kata by Luca Valdesi!” or “Swim Like Michael Phelps”. Because we want to become like them. Yet, who does actually become like them? If I were to produce a DVD entitled “Secrets of Strength Training by Jing”, and sell it to everyone in Jing’s gym, I would be a very rich man. Or, if I were to produce a fancy guide entitled “Exotic Full Contact Fighting by Oliver” and sell it to everyone who watches Oliver’s fights, I would be even wealthier. Famous sportsmen like Michael Jordan, Tiger Woods, Luca Valdesi, Wayne Gretzky or Lyoto Machida are all probably very kind people, great role models (almost all!) and superb athletes, but they didn’t become who they are by blindly copying others, or following a universal cookie cutter recipe for achieving success. Usain Bolt was too tall to be a world class sprinter. Michael Jordan failed the tryout for his first team because he was too short. Lyoto Machida has a typical Karate fighting stance, uses elusive taisabaki movements from Shotokan (along with basic Karate kumite combinations) and still became the UFC Light Heavyweight Champion of the world. Even their bodies were “wrong”. But one thing they got right. They always believed in doing their own thing. With passion, enjoyment, and freedom. And when you got that, you can win with whatever method you like. As long as it’s your method. 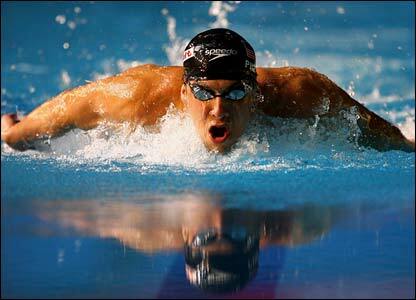 Michael Phelps has a genetic disorder called Marfan's Syndrome. But he doesn't care. Don’t mistake the trademark for the truth. Great article Jesse! Really reminded me of how everyone is unique with their own ways of doing things! There are a lot of wisdom in these words!You should never need to compare yourself with other people! Only your own progress and your own development is interesting for you. To do better each time than last time. Happy ending! "Shut Up And Train" wins again! Use what works for you because sometiems noone else wants to know your method.Reminds me of Karate "the art of letting go"